As it is usual in Sweden, the major music stores – in cooperation with Parlophone/Warner Music – offer a signed card by Marie if you pre-order her upcoming album “Nu!”. Ginza delivers to all EU countries and Norway. Shipping costs: 99SEK. Bengans delivers worldwide, postage for Nordic countries: 95SEK, rest of the world: 145 SEK. At the moment only the Swedish website offers a signed postcard with the order. You may want to contact them to find out if orders from outside Sweden will also come with the signed postcard. This is only a selection of stores and for information purposes only. Picture taken from Bengans newsletter. Does anybody know if the signed card is really signed personally by Marie or is this just printed? I mean, does she sign thousands of cards personally before releasing a new album? I don’t think she will sign thousands of postcards. Maybe a few hundreds. 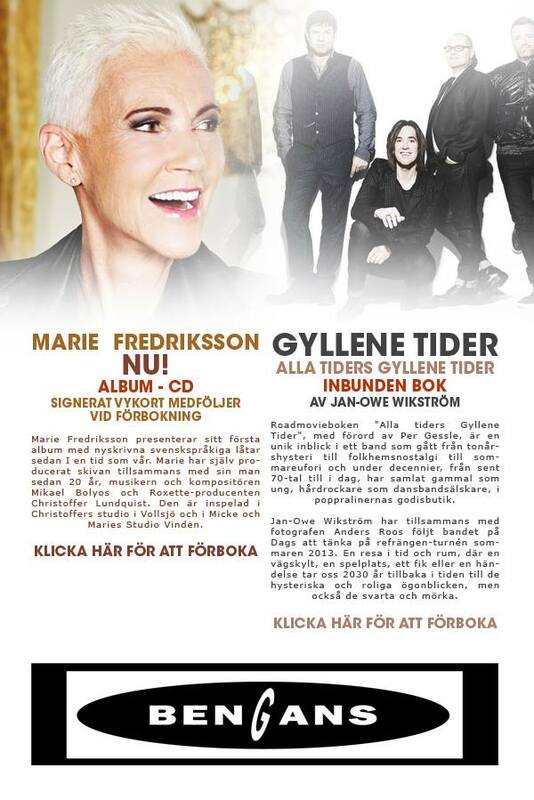 Gyllene Tider also included a signed card as a gift for those who preordered their latest hits compilation. And it was not printed but hand-written.